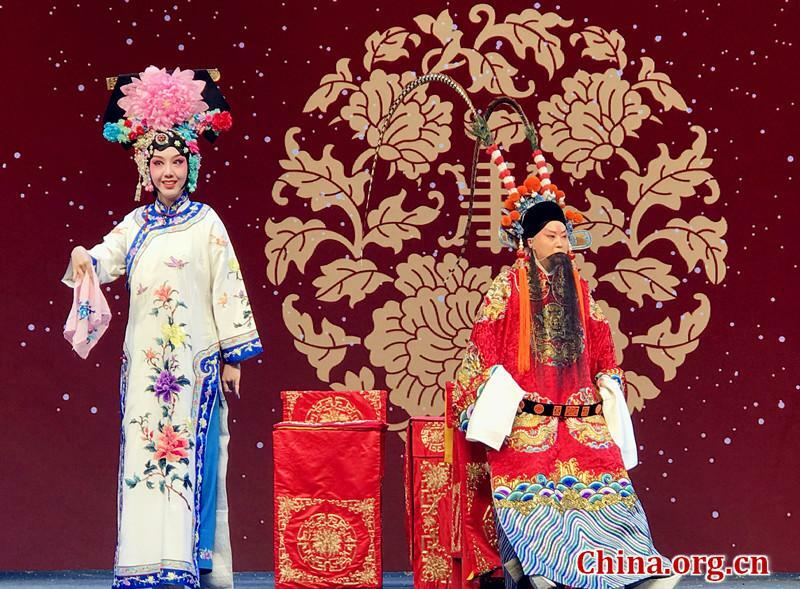 A grand Peking opera performance was staged yesterday at Daxing Theatre in Beijing's southwest Daxing district to celebrate the traditional Chinese holiday, Chongyang Festival. Chongyang Festival, the 9th day of the 9th lunar month which fell on Oct. 17 this year, is also known as Seniors' Day in China, as nine is jiu in Chinese, embodying the meaning of longevity. Local people of Daxing were encouraged to accompany their parents and watch the free show. 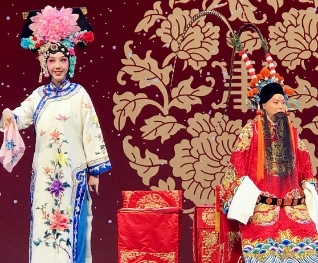 In the theatre, artists from the Jingju Theatre Company of Beijing performed classic Peking opera plays of "Li Kui Visits His Mother," "Silang Visits His Mother" and "Monk Mulian Rescues His Mother," all depicting filial piety. In addition, comedians performed magic tricks. "I believe we should spend more time with our senior family members no matter how busy we are," said Han Juming, a state first class performer and top Hualian performer (also called Jing, which is a painted-face male role in Peking opera). Han played Li Kui in yesterday's performance. "Otherwise, we would regret not doing so after our parents or grandparents pass away." The Peking opera performance also presented a video showing how the four Peking opera roles prepare their makeup and costumes, helping the audience better understand the characters and the plot. There are four main characters in Peking opera: sheng (usually the lead male character), dan (female character), jing (painted face male role) and chou (clown). The performance was organized by the volunteers from the Daxing district cultural committee, which has launched a series of cultural events to spread traditional Chinese culture since 2017. A grand Peking opera performance was staged at Daxing Theatre in Beijing to celebrate the traditional Chinese holiday, Chongyang Festival.